The smart and stylish Oppo RX17 Pro is perfect for entertainment with its 6.4 inch display, while the Smart Bar feature allows you to switch between apps as you watch videos or play games. The handset also features a 20MP camera giving you an all-around achiever. £692.99 total cost over 2 years What's This? £751.99 total cost over 2 years What's This? £773.99 total cost over 2 years What's This? £796.99 total cost over 2 years What's This? £646.99 total cost over 2 years What's This? 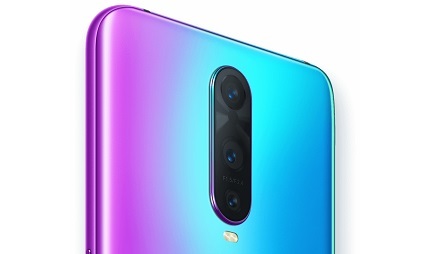 You’ll notice that the OPPO RX17 Pro sports three rear cameras. Its main camera has a 12-megapixel sensor and a lens that switches between f/2.4 and f/1.5 apertures, meaning it can adjust the lens according to the light. The second camera supports this with a 20-megapixel sensor and a f/2.6 lens. The third camera is a Time of Flight (ToF) lens that uses a laser array to help judge the distance of objects in a scene – making it an excellent AR tool. The 6.4inch screen on the OPPO RX17 Pro produces an impressive, colourful and clear display. Its 1080 x 2340 resolution and 402PPI is more than enough for a clean viewing experience. It’s one of the first devices to feature Corning Gorilla Glass 6, so you can expect this device - which is mostly screen with its 91.5% screen to body ratio - to be robust. 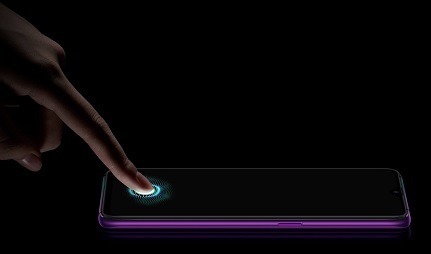 The screen also features a waterdrop notch design and a fingerprint scanner that’s hidden under the display, giving the device a premium look and plenty of room to stream, game or browse social media. If you’re always on the go, you needn’t worry about charging your phone with the OPPO RX17 Pro. 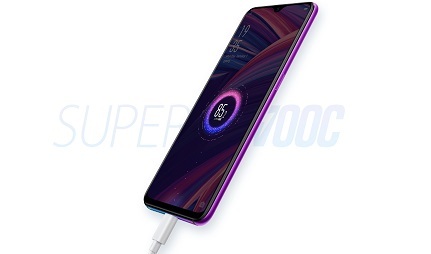 The OPPO can charge from 0% to 40% in ten minutes and will be fully charged within 35 minutes when the phone is turned off. It’s only slightly slower to charge if the device is switched on. The sizeable 3700mAh battery powering this device is split into two single 1850mAh cells, allowing it to use SuperVOOC Flash Charge. Which is great news if you’re a fan of using power intensive apps or features, you’ll never have long to wait to get back to full charge. Not heard of smartphone giants OPPO? 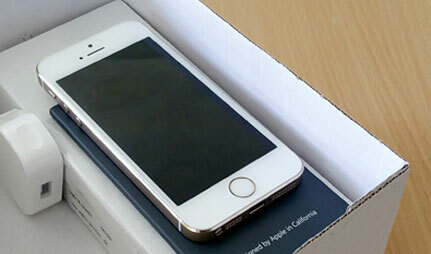 Don't worry - you can discover everything you need to know about their new must-have handsets, here at Mobiles.co.uk. Which OPPO Phone is right for me? Tempted by the cutting-edge tech of an Oppo smartphone. As they're relatively new to the UK market, we run down the best Oppo handsets to help you choose.